It can be a satisfying feeling to have the power tools in hand and work on a home improvement project. If you like to do small repairs around the house, then you probably don’t mind spending a little time on the weekends to work on these tasks. But, there are a few situations when you need to call a professional team. For example, DIY isn’t a great option if you need replacement windows and doors in Brookfield, WI. When it comes to window and door installation, even the smallest mistakes can have a big impact on the performance of the materials. If you make a mistake on the installation, then it might result in long-term issues with energy efficiency and ease of use. Some homeowners assume that they can look online for a video tutorial, and then handle the installation by themselves. Even though you can find helpful information online, you need to understand the potential consequences of a DIY approach. Yes, you might be able to reduce your expenses on the window installation. But, you will need to spend money on the right tools. Plus, you could be facing higher costs in the future if the doors and windows need to be replaced again due to problems with the original installation. 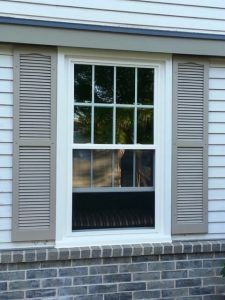 Most reputable window manufacturing companies will offer a good warranty on the materials. If you are going to spend money on these materials, then it makes sense to choose products that will be covered by a warranty if anything goes wrong. This protection gives you the peace of mind to know that your home is protected against defects of the materials. The problem is that this warranty coverage is often voided if you skip the professional installation. Read the fine print on the warranty, and you will likely see that a certified team needs to take care of the installation if you want to have the warranty coverage for your home. There is no reason why you need to do the heavy lifting on installation day. Instead, you can let an experienced installation team take care of all of the hard work. Then, you can relax instead of worrying about the details that are required for the installation. It is worth the investment to hire an experienced installation team. You will be confident in the quality of the new products that are installed in your home. This investment is important so that you can maximize your property value and enjoy optimal benefits from your investment.